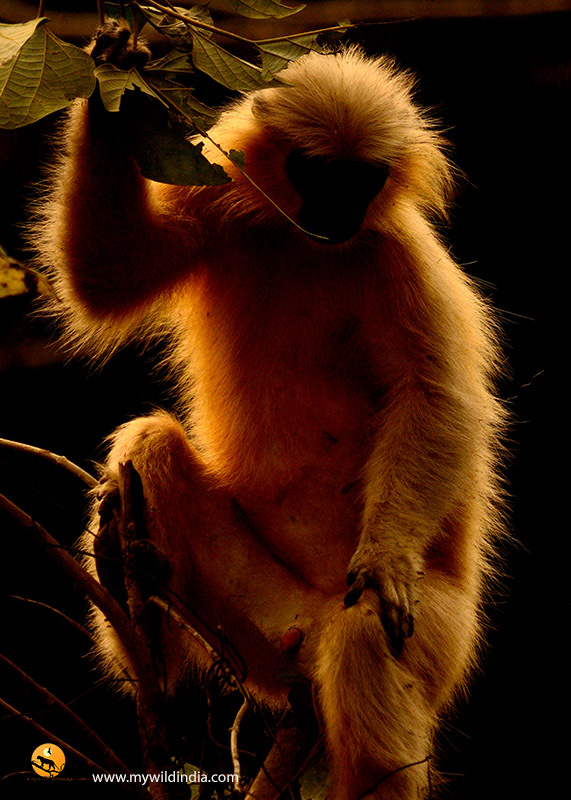 The back/rim lighting works beautifully with this golden langur, Pralay! A click on this really shows off the beautiful golden glow -what a beauty. Beautiful light and subject, nicely done indeed. This is cool. If there is any way to bring up just enough to see a tiny hint of the eyes, that would take it over the top for me. Wonderful backlight here. I agree with EJ on the eyes, though. Thanks for the suggestion EJ and Paul. Unfortunately this chap was looking down with his eye lids drooping in this image.